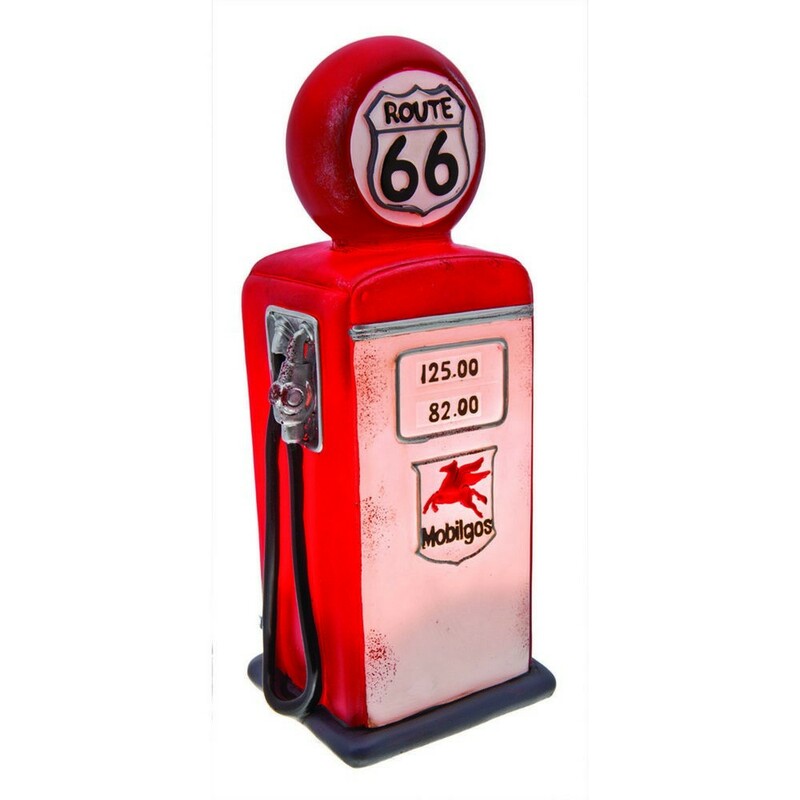 One of the original highways in the US, Route 66 is often referred to as the Main Street of America or the Mother Road. The detail in this vintage fuel bowser lamp is a very true representation of old school style. When lit it provides a soft warm red and white glow.